I have a soft spot for Phnom Penh as it was the first city I visited in Southeast Asia. The combination of that good memory and it being a little rough around the edges has kept me coming back whenever I can. Every time I come back it’s a little less dustier and a little more modern than before. 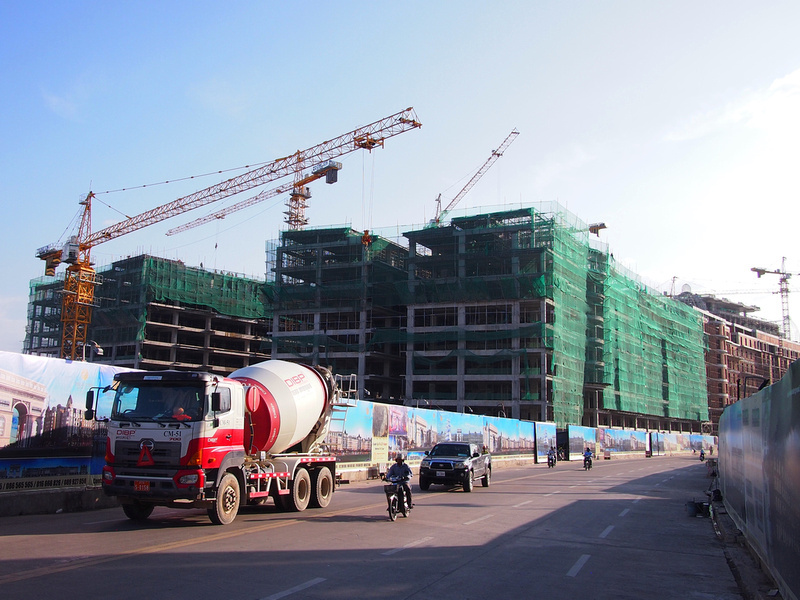 One thing that has been unavoidably noticeable over the last few years has been the construction boom of apartment towers. As with Sihanoukville it’s mostly Chinese-led, with China now being the largest visitor country to Cambodia. 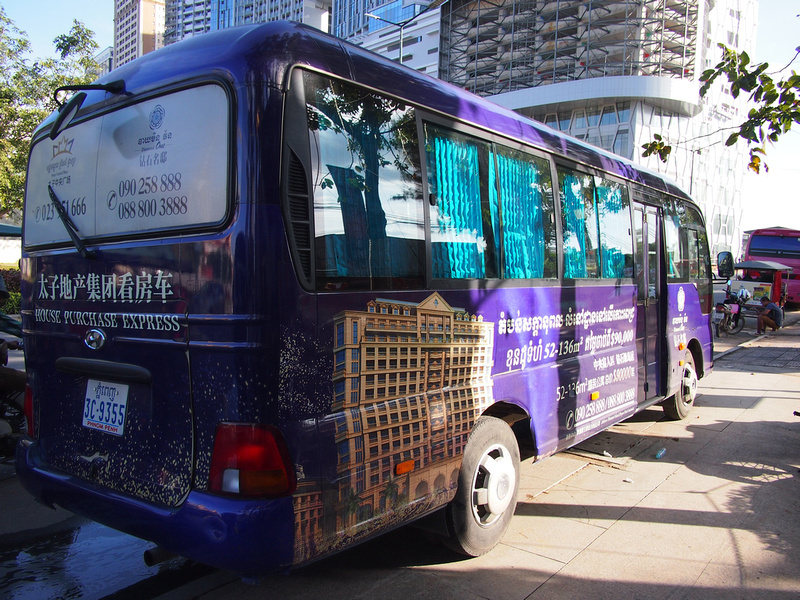 I even saw buses in the city that are specifically for ferrying Chinese buyers from the airport to these projects. 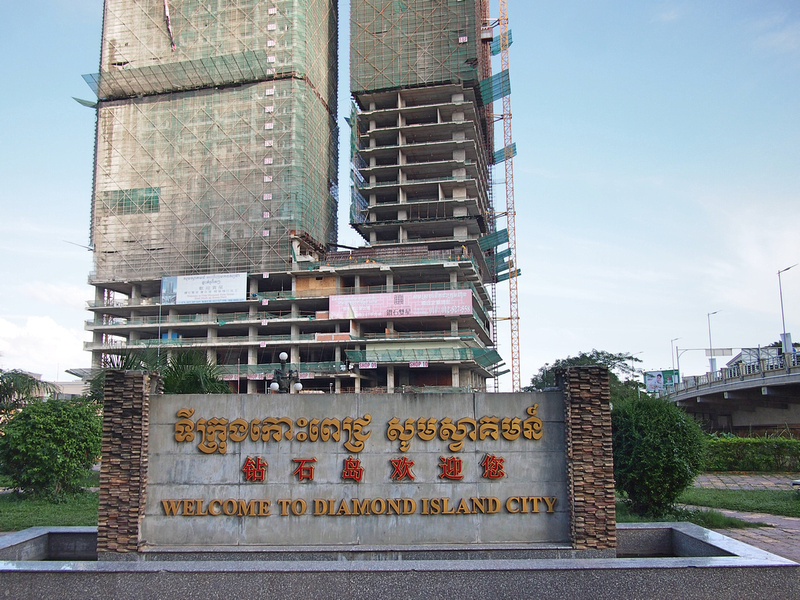 Koh Pich (Diamond Island) is one of the major development sites in Phnom Penh. Koh Pich is an island in the Bassac River, just before it empties into the Mekong River. I was drawn to the island by the blinking lights of Nagaworld, which is a casino/entertainment complex near the entrance to the island. I was staying near the casino, and the blue/purple lights were making my hotel room glow as if I was in a Blade Runner cyberpunk dream. The next day I went for a walk to see what was going on. The island is close to the old city area, yet ten years ago it was mostly slums and farmland. Once you cross the bridge there is construction everywhere, with signage leaving no doubt for who the market is for. 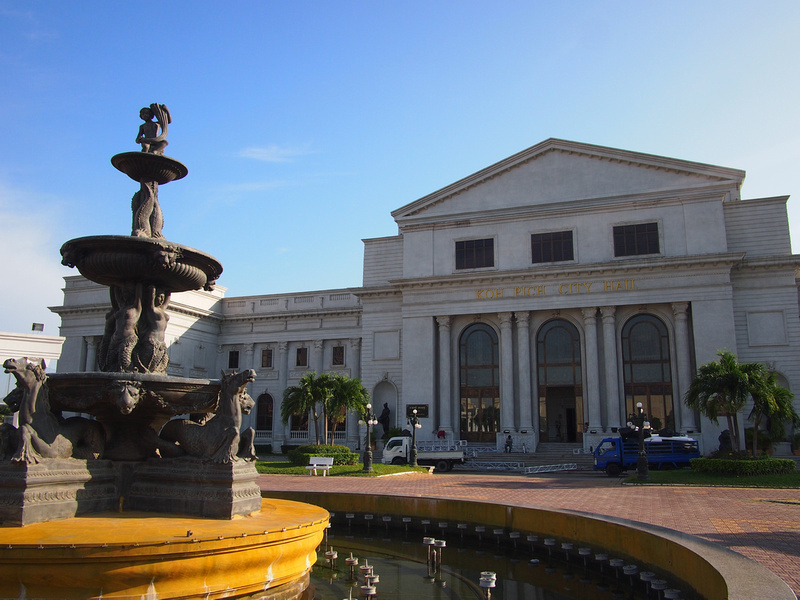 Everything is new on the island, so I was initially confused to see this town hall built in neoclassical style, which is unlike any remaining colonial architecture in the old city area. Things get even weirder at the the Elysee project, which is a homage to Paris with a grand boulevard and haussmann-esque rows of apartment blocks. 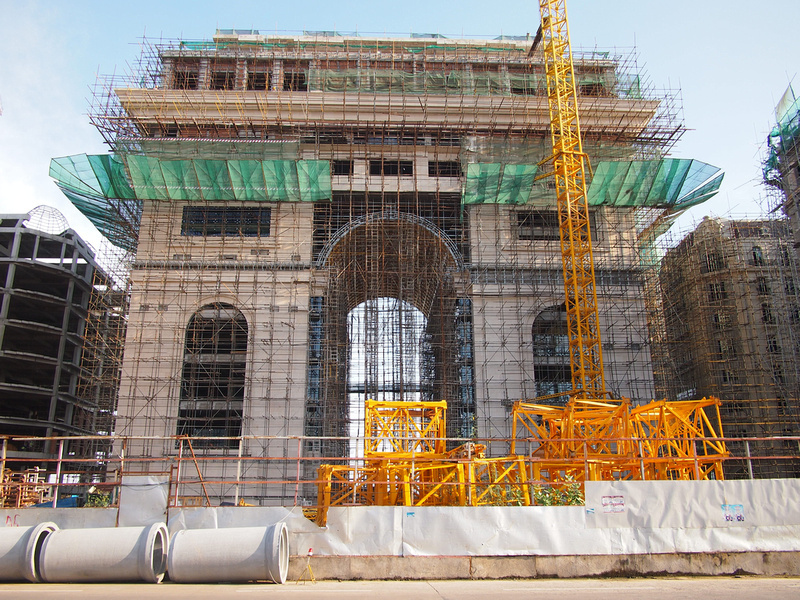 The project even has a replica Arc de Triomphe. 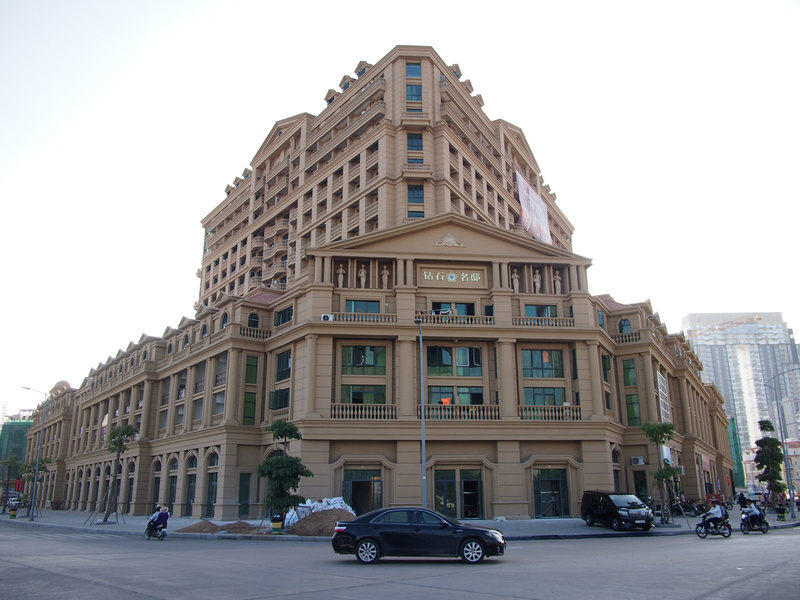 It’s one thing to have a purpose-built fake Paris in the middle of China, but to have it on prime real estate of your capital city another matter. There is another section of the island called Elite Town. It’s like the elite are not even pretending that they’re not being elitist any more. What’s more embarrassing are the names of the streets: Princeton Road, Harvard Street, Berkeley Street, Yale Road. Why not name the streets after national heroes, Cambodian cities, or Khmer mythology. If you know my blog you will know that I’m not against development and making modern functional cities. I think though that Phnom Penh has missed a great opportunity to make a new urban precinct that is distinctly Cambodian. Phnom Penh had a great architectural era in the 50s and 60s with New Khmer Architecture. The Chaktomuk Conference Hall by Vann Molyvann is a classic example of the style that blended modernism with Cambodian traditional elements. 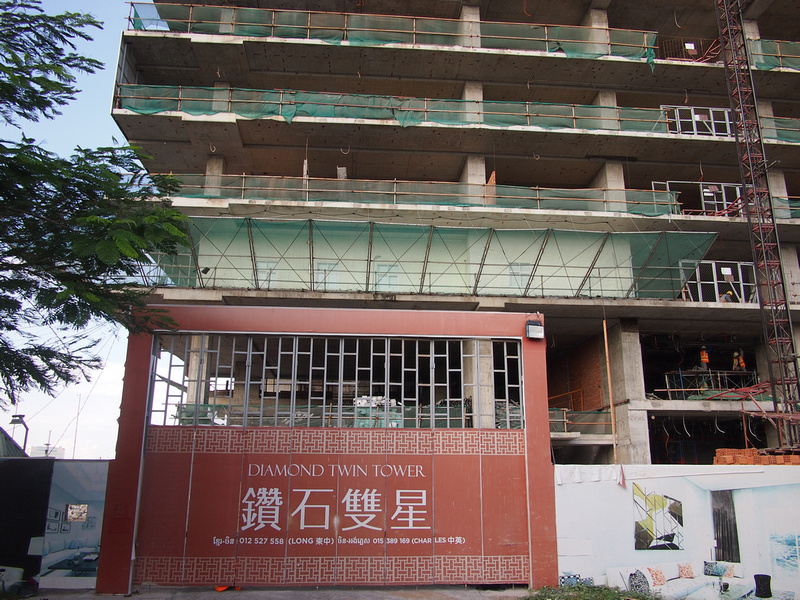 So that is the status of Diamond Island which I visited in December, 2017. Next time I am in Phnom Penh I’ll make an update on the projects. 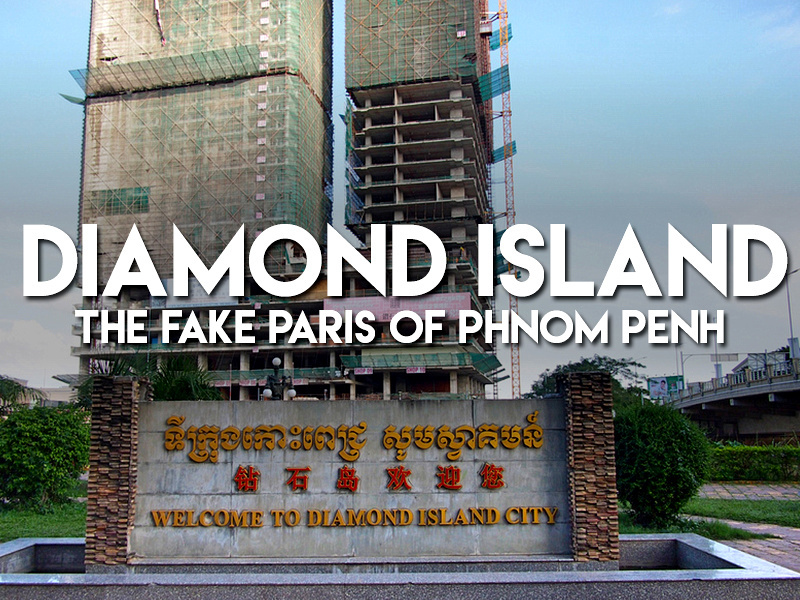 For more details on Diamond Island read this: Cambodia’s Showcase Island. At least we have been spared anything quite so horrific in Saigon! One advantage of not being too friendly with the Chinese. Yes the same thought crossed my mind. I’ll be interested to see what is happening in Danang as they are catering for the Chinese market there. Yeah this is true that the Chinese are not trusted enough as to being friends. Beautiful photos. I have never been to Phnom Penh and have been trying to visit there. Hopefully 2018 will be the year, but I;m already planning a trip to Thailand, so let’s see if my husband agrees for a detour. You are right. Cambodia plays a big role in China’s One Belt One Road (OBOR) Plan, building the new Silk Road. 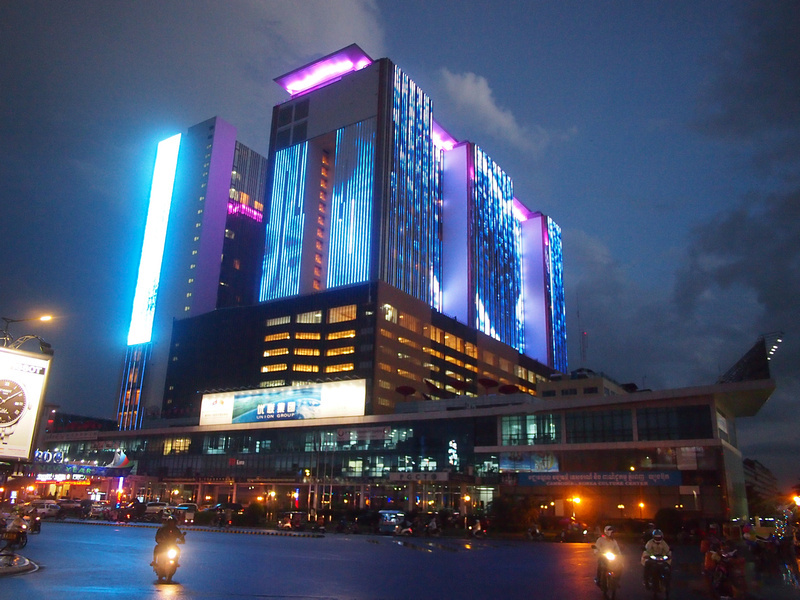 Sihanoukville is expected to be the so-called mini Macau with lots of casinos are being built.